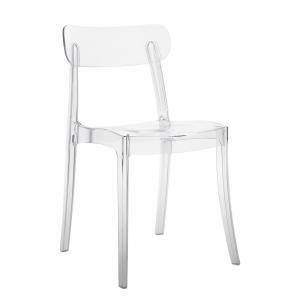 The mel midcentury chair with the intricate metal linked base is inspired by one of the most recognized modern design styles in the mid century era. The eiffel looking base is vibrant and charming. The contoured armchair seat allows the sitting area to cradle your body. It is a beautiful and well crafted arm chair. 25.5" wide x 23" deep x 32" high, seat height 17.5"